Tabard with attached hood and tail. Machine wash at 30 degrees.Do not bleach.Do not tumble dry.Do not iron.Do not dry clean. 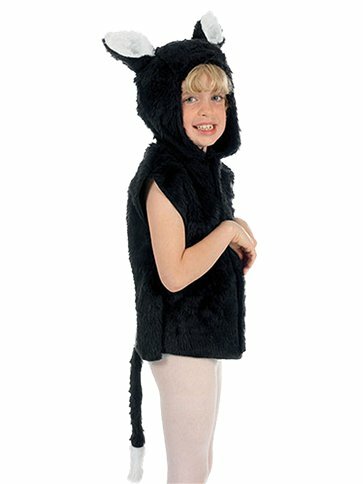 Your little one will look purrrrect in this cute Cat Fur Tabard Costume boasting all-over black faux fur, an attached hood with cute ears and a white-tipped tail. A quick and easy kitty cat transformation, great for role-play and Halloween trick or treat.